The marauding new Infiniti QX70 SUV is a muscly, sporty SUV that’s powerful, stylish and attractively priced. Formerly known as the FX, it’s got bigger in every department. Bigger engines, bigger build – but also bigger bills. True, running costs are steep, even for this class. That’s partly due to Infiniti leaving out slow engines and focusing on pure might, speed and performance with a couple of V6 and V8’s. Sound intriguing? OSV takes a closer look at what it’s all about with our 2017 Infiniti QX70 SUV review. Infiniti has pulled out all the stops to make this SUV as sporty as possible. It all starts with the driving position. You’re sat down low, while the wheel is positioned high above you. Then there are the engines, which leave all pretenders in their wake. The two kinds of petrol – a V6 and a V8 – are absolute monsters. The V6 is sized 3.7, and can do 0-62 in 6.8 seconds. That’s not bad, but if you’re keen for more speed the 5.0-litre V8 does 0-62 in 5.8 seconds. That’s more like it. If such frantic speeds are not your number one priority, a 3.0-litre V6 diesel completes the range. It delivers up to 235bhp, and does 0-62 in 8.3 seconds. It still feels sporty too, thanks to a near-constant thrum. Somewhat disappointing is the automatic 7-speed transmission. It’s standard on all models, but takes too long to change gears at crucial times. As such, you may feel short-changed that you’re not getting the most out of the car’s power band. Another disappointment is how weak the QX70 is off-road. It’s okay on grassy fields and mud tracks, but it can’t cope with extreme conditions. This is down to its sports suspension, and absence of adaptive off-road modes. The sports suspension has its benefits, though. It’s stiff enough to minimise body roll, which ensures a smooth enough ride. However, it does get fussy on broken roads. To see how livable it is, we recommend a test drive. This is arguably the brawniest-looking car in this class. That, however, doesn’t mean it isn’t stylish. It’s bold, assertive, sporty, but also handsome. However, from certain angles, it looks like a parody of itself. It’s gigantic 20” alloys look cartoonish, while its bulbous wheel arches look too emphatic. 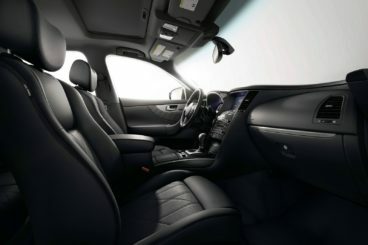 Inside, the Infiniti QX70 SUV is a classy affair. The diamond-stitched leather seats are a highlight, and they come with electric adjustment. They’re also heated. The instrument binnacle looks sporty, but some of the switchgear has been borrowed from other cars. Moreover, as classy as this interior is, its quality can’t quite match more esteemed rivals. The sat-nav, for example, sports inferior graphics. It can also feel claustrophobic for those in the back. Small, dark-tinted windows exacerbate the enclosed feeling, which the low roofline adds to. This low roofline also adversely affects rear headroom, though this is the trade-off you make for such a sporty SUV. Legroom is good, though, and four adults should be able to sit in comfort. As a bonus, the rear seats recline for more space. Thanks to levers, this is an easy manoeuvre. The boot measures 410-litres, which is small for this class. You can fold the rear seats to extend capacity to 1,305, while a powered tailgate boosts usability. Visibility is not fantastic, thanks to those small windows. Thick rear pillars also restrict your rear view when parking, but side, front and back cameras help you out. Standard equipment across the range is good. The entry-level model gets a reversing camera, 20” alloys, cooled leather seats, air conditioning, and cruise control. Move up the trims and you get the likes of lane-departure prevention, sat nav, and automatic braking. OSV would caution against moving too high up the trims, though, as depreciation is high. In terms of how safe it is, the QX70 SUV was awarded all 5 stars in its EuroNCAP crash test. Passenger and driver airbags come as standard, as does electronic stability control. You can add a lane-departure warning if you stick to the entry level model, while a clever braking system is also a safety option. Prices for the new car start out from £45,100 and rise to £56,600. For more information on our leasing deals, check out our page here. In terms of its running costs, its heavy weight and big dimensions are a recipe for disaster. The 5.0-litre S Premium is shockingly expensive to run, returning 20.9mpg at best. The 3.0-litre diesel engine is the one to go for if you care about your finances. It can return 32.8mpg economy, and costs just(!) £295 a year to tax. On that point, either petrol will set you back over £500 a year in road tax. 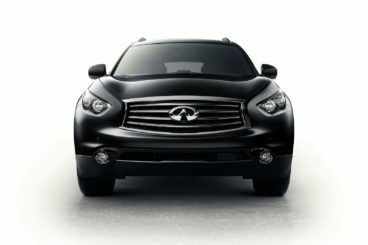 Surprisingly, however, the Infiniti QX70 is fairly affordable to maintain and service. Okay, we’re not going to pretend that it’s as rare as a 30 carat necklace. But exclusivity is a big selling point here. The V6 and V8 engines have some serious chops and can haul this mega-tonne machine along with ease. It’s a luxury saloon, but the 5.0-litre V8 engine demolishes 0-62 and feels like a muscle car. Perhaps the most pleasing thing about the car is how well equipped it is. Cooled leather seats, air conditioning, and cruise control all come at the listing price. The monstrous V8 engine is tempting until you check its economy. It can’t even break into 21mpg. Small windows and a low roofline can make rear passengers feel like they’re hemmed in. Let’s see how the car fares against its rivals in the comparison section of our 2017 Infiniti QX70 review. Porsche’s always steal the limelight. So what chance has the left field Infiniti got against the best SUV to drive? Doubtlessly the most entertaining car to drive of its type, the new Macan holds the road like a boat holds water. Backed by four-wheel-drive and a brilliant suspension system, it’s composed even in bad conditions. Ride quality is among the best in this market, too. You can add air suspension for an even softer ride, but the truth is that you don’t need it. However, it lowers the ride height which does make it more composed in bends. It’s expensive, though. Off-road, the Porsche Macan SUV is impressive if not quite class-leading. But it’s a surprise that you can’t pair your engine up with a manual gearbox. The non-turbo Macan’s are the Infiniti’s direct rivals, and these are the models we’re looking at here. They’re all diesels, with the Macan S diesel the Infiniti’s true rival. It delivers up to 258bhp, does 0-62 in 6.3 seconds, and returns 45mpg. This makes it quicker than even the VW Golf GTI, and it can keep going until 142mph. Inside, the Macan is a quiet and roomy place to be. Even at speed, the diesel is hushed. Build quality is good, and this looks like a car that will stand the test of time. It also looks fairly sporty indoors, and it’s a dyed in the wool Porsche – the row of buttons positioned on both sides of the gear stick are one example of that. Standard kit is impressive, and includes a DAB radio, 19” alloys, part-leather seats and climate control. Practicality isn’t bad either. Thanks to a good amount of room, five people should be able to sit in relative comfort. The driver’s seat and steering wheel offer lots of adjustment, so as usual it’ll be the driver who gets most comfy! But those in the rear certainly don’t get shafted, and knee room in particular is excellent. The boot measures 500-litres, which puts the Infiniti’s 410-litre boot to shame somewhat. 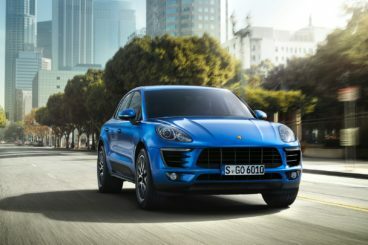 Especially when you consider that even the Macan’s is far from class leading. The rear seats are easy to fold flat, and doing so extends the boot size to 1,500-litres. 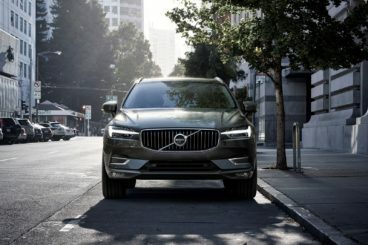 The new Volvo XC60 is a comfortable and stylish SUV. It comes with a raft of new safety tech, as well as lots of other standard kit. It’s hardly going to rock your world, but the XC60 is a great way for families to travel in comfort. It has a decent turn of speed, and four-wheel-drive is standard. It doesn’t handle as seamlessly as, say, a BMW, but lots of grip and air suspension ensure ride quality is good. In terms of the diesel engines, not much separates them economically. Which one you go for will likely come down to how much pace you want from your XC60. The D4 delivers 187bhp, and can do 0-62 in 8.4 seconds, which will suit most buyers. However, the D5 PowerPulse doesn’t cost a massive amount more, but does 0-62 in 7.2 seconds. Thanks to some neat tech, it gets its turbo to work considerably quicker. The diesels are only available with an 8-speed automatic, but that shouldn’t be a deal breaker. It’s a smooth changing gearbox that really comes into its own the more you accelerate. Just one petrol engine is available. It’s a turbocharged 2.0-litre unit that delivers 251bhp, and which does 0-62mph in 6.8 seconds. That’s quick, but in the real world it might not feel as fast as the D5 PowerPulse. A T8 plug-in hybrid will round things off when it gets to the UK. In terms of running costs, the small diesels keep economy affordable. There isn’t much to separate D4 and D5 PowerPulse. The former returns 54.3mpg, and the latter returns 51.4mpg. The petrol engine is significantly more costly to run, and averages 38.7mpg economy. Inside, the Volvo XC60 houses the classiest interior out of the three cars reviewed here. A chunk of its trim is borrowed from the XC90, but that’s hardly a problem. For example, it means you get the Sensus system, a 9” touchscreen that you use to control pretty much everything. Further, it means the quality of the materials used is here good, comfort is excellent, and refinement can’t be faulted. Moreover, the air suspension smooths out any damage that could have been done by the big alloys. Practicality is a bit hit and miss. Don’t get us wrong, there is plenty of interior space for you and your passengers. Even with the curvier lines and lowered stance, Volvo hasn’t compromised on the room. But owing to their cars being more stylish and prestigious these days, Volvo’s boots seem to be shrinking. The one here offers 505-litres of space, which although bigger than the Infiniti, is still far from class leading. It can be extended to 1,432-litres, though, and is on par with the Macan. Rear passenger space is the best out of the three cars reviewed here, but rear-seat access could be better. The door opens a tad too narrowly. Infiniti has been on UK shores since 2009, but continues to be a rare sight on our streets. That just adds to the sense of privilege you feel when you drive one. This super-sized Infiniti is an absolute monster that puts the onus on performance at the expense of comfort. Sound like your kinda SUV? With V8 engines, 0-62 in 5.8 seconds and a muscular, protective body shell, it’s probably about time we all took the Infiniti QX70 SUV for a test drive.